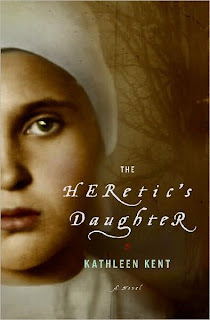 The Heretics Daughter by Kathleen Kent!!! Please enter me. I would really like to read this book. Two great books, that must have been a very happy moment for you! I've been hearing some about this book, and it's all positive, I'd love the chance to win it! Please visit there are a lot of contests listed there! Really enjoyed your review. Thanks. Sounds like a good interesting book! I'm "following" you now too! This book sounds like it would go over well in my high school library. I would love to read this book. Please enter me in this contest. Thanks. I'm so excited about this book! Thanks for hosting a giveaway! I would really love this book. Please enter me. I've herad great things about this book. Please enter me. I'd love to win this book. Thanks for the chance! I've been seeing this book pop up a lot, and I'd love to read it! This books sounds like a great read... Please accept this as my entry. Thank you!